Sections of the main road through to North East Lincolnshire are being closed this week in readiness for a National Armed Forces Day parade in Cleethorpes. There will be lane closures on the A180 so that the road can be cleaned in readiness for the event at the end of the month. Tuesday, June 7, 9.30am to 3pm, east bound lane one, closure from Cold Water Roundabout to Lock Hill. Wednesday, June 8, 9.30am to 3pm, east and west bound lane two, closures from Lock Hill to Moody Lane. 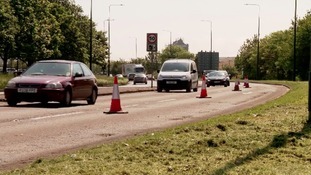 Thursday, June 9, 9.30am to 3pm, east and west bound lane two, closures from Moody Lane to Cold Water Roundabout. Friday, June 10, 9.30am to 3pm, east and west bound slow lanes, closures from Europarc to Coldwater roundabout.